Bari Life cares about your journey. Weight loss surgery is more than just the procedure. After bariatric surgery you need more than just the vitamin regimen or supplements. It is about you as a whole and your journey toward achieving better health and maintaining that better health through a combination of many different factors: Proper diet, exercise, proper supplementation and vitamins, stress reduction, overall mind and body health too. This article is all about helping your mind body health. Feeling good is the first step toward being healthy. Besides making sure that you are getting the proper nutrients and taking your after weight loss surgery vitamins, we know there is more that completes someones total health. Share some gossip! We don’t mean the bad type. The good type. Sharing kindness and compliments about others is research proven to increase your self esteem by 5%. Go ahead, spread some juicy gossip about someone you know. It’ll make you feel better about yourself. But there’s a condition: no bad-mouthing. A study at England’s Staffordshire University found benefits when volunteers spread kind gossip about fictional others This one is easy to do after weight loss surgery. Just pick up your phone and that’s an easy boost when sharing good about others! Get goal orientated! “Happiness is a sense of well being we experience when we are engaged in meaningful and manageable projects in our lives,” says Carleton University associate professor of psychology Timothy Pychyl, Ph.D, and author of “The Procrastinator’s Digest.” “One of the key attributes of humans is that we are goal-oriented beings.” These goals after your weight loss surgery don’t have to be mountains. Little obtainable goals are just as beneficial for your happiness level. Sit up straight! Research shows that people with good posture have more confidence than slouchers. Perfume it up! According to the findings, women that wore perfume felt more confident in social and business situations. Flip through old photos! People that flip through old photos of treasured memories of families and friends increase their happiness level by 11% in an instant. More so than a glass of wine (it came in at only 1% increase in mood). So the next time your feeling down, don’t reach for that wine glass, reach for those beautiful photos of your friends and loved ones to elevate your mood. 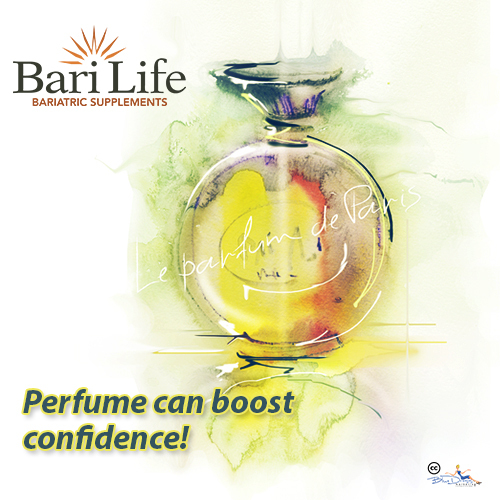 Bari Life is high quality bariatric vitamins that are clinically proven supplements to help in post bariatric surgery. After weight loss surgery vitamins, simple and all in one bottle!